My dad loves to feed my hubby a full English breakfast...it all started when we had our wedding in a shooting lodge in Scotland, Dad was always first to the aga to cook all the guests (who stayed for the week) a hearty breakfast before they went off for their day's adventure. 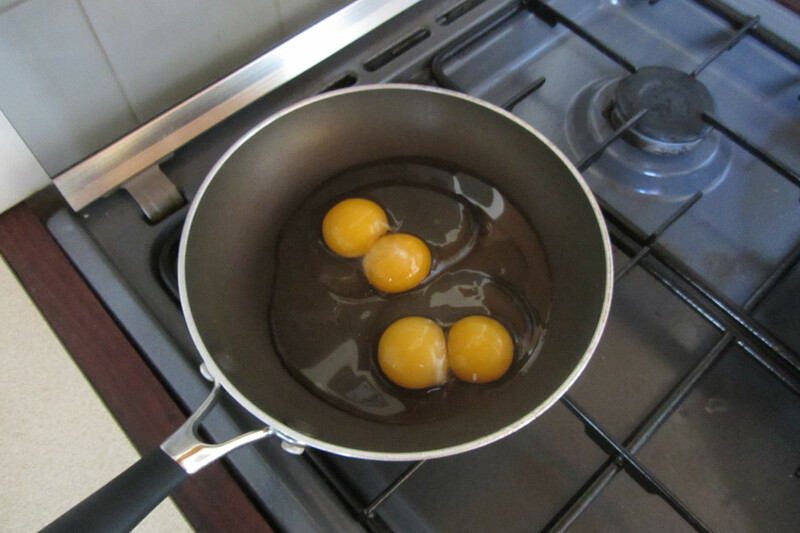 This weekend both Saturday and Sunday's breakfast had double yolked eggs, haven't seen one for years, then four in a row. Wow, I don't think I've ever gotten double yolks before! Brilliant shot, this will make my hubby envious!! The yolks are so bright. I wish I had a man to make me eggy breakfasts! He would be very much appreciated in that week of yours! Double trouble! No, eggs are healthy! Wonderful - I haven't seen a double yolker for a few years now. I love eggs!! And the yolks are still all whole!!! Wow, how lucky is that. I haven't seen double yolk eggs for years either. We lived in Lincolnshire in the UK many many years ago and we regularly got double yolkers there.